Good morning. It's Tuesday, April 9. • Devin Nunes files a lawsuit targeting the Fresno Bee. • State officials embrace a transition to all-electric homes. • And a fascinating account of Berkeley's 1960s hippie scene. 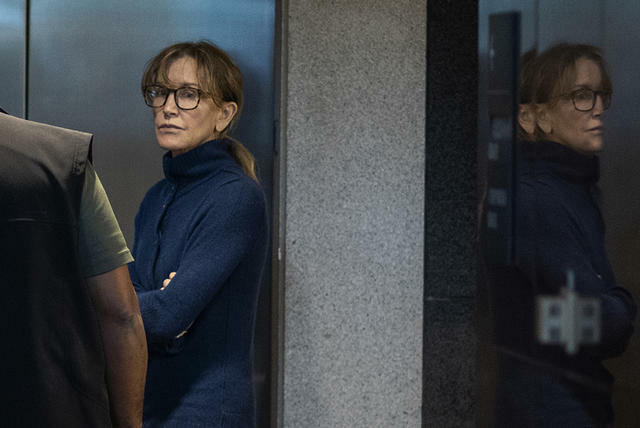 Felicity Huffman apologized to the people she hurt. "I am ashamed of the pain I have caused." 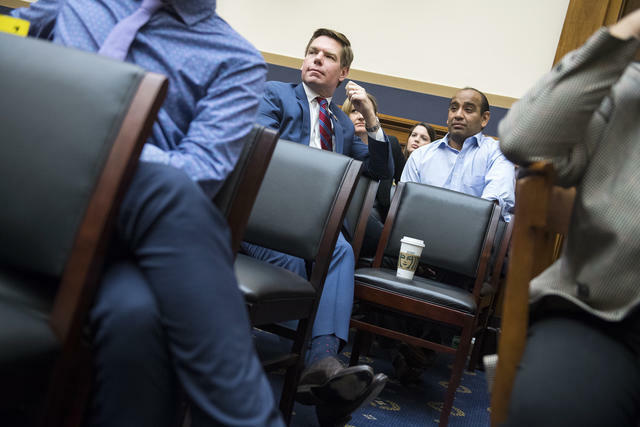 Rep. Eric Swalwell, at the Capitol last week, is seen as a long shot for the presidency. Now thriving in California: something known as the sovereign citizens movement, a network of far-right extremists who think that if you submit the right set of papers, you can wipe out your mortgage, tax bills, and student loans. The paranoid ideology lends itself seamlessly to financial crime. "Fraud is to them what cross-burning is to white supremacists: an expression of belief," the N.Y. Times wrote. California has the highest gas prices in the nation. The next frontier in California's campaign to phase out fossil fuels could be your kitchen stove. The new climate mantra among many clean energy advocates is "electrify everything." That means getting rid of gas for heating, laundry — even cooking. SoCalGas, the nation's biggest gas distribution utility, views the movement as an existential threat. Posing with a fallen giant sequoia in Tulare County in an undated image. 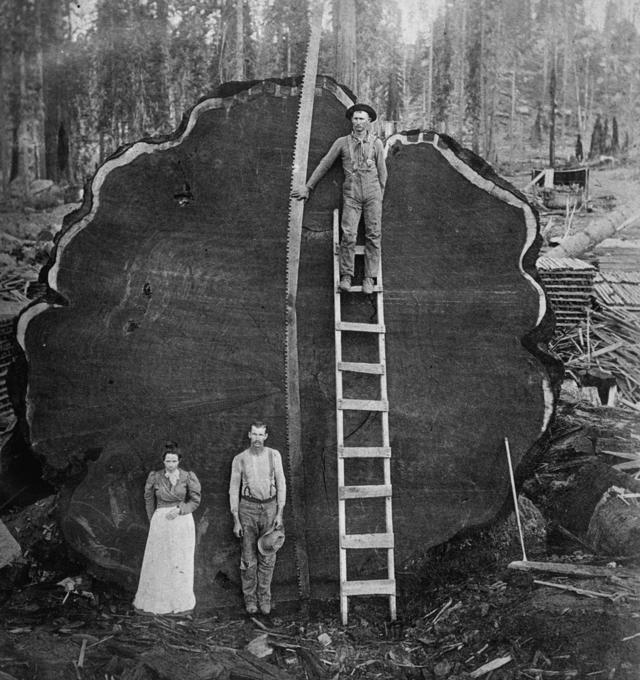 Way before selfies, lumberjacks made a photographic genre out of posing with felled giants in forests across the West. The images captured the popular imagination, inspiring log rolling contests — balancing atop a floating log — and log flume rides at amusement parks. Here are a couple collections of the photos. 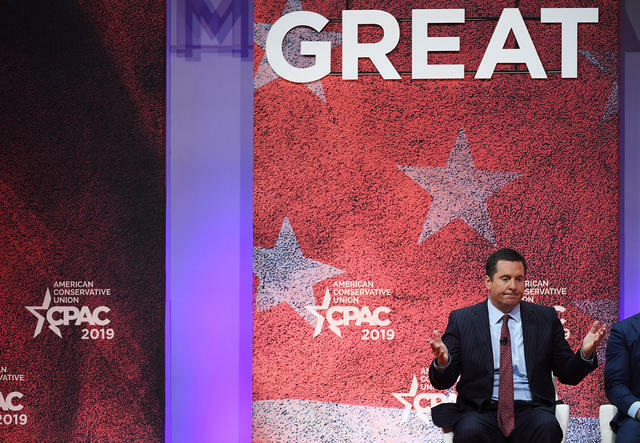 Rep. Devin Nunes at CPAC in Maryland last month. Lynette Gibson McElhaney, an Oakland councilwoman, has been an outspoken community leader against gun violence. In 2015, she was devastated by the shooting death of 17-year-old Torian Hughes, whom she had helped raise and considered a grandson. Then, last month, her 21-year-old son, Victor McElhaney, was fatally shot. If only the killing would stop, she said, "If that were the reward for Victor's sacrifice, I think we'd say, 'OK God, we see the long game.'" Moua Lo and his boy, Marcus. 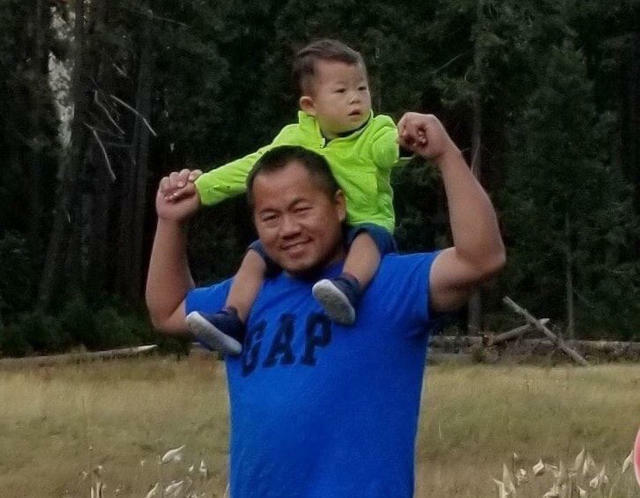 Moua Lo leapt into the San Joaquin River when his 1-year-old son fell off a boat more than a week ago. The boy, who was wearing a life jacket, was saved. Lo disappeared, setting off a frantic search. Now the authorities say his body has been found. He was 41. Elon Musk has used Twitter to cultivate a cult-like following as a tech revolutionary. So perhaps it's fitting that his nemesis is a social media army of Tesla skeptics who are convinced Musk is a fraud and the carmaker is a house of cards. Of Tesla's 173 million shares, about 17 percent are held by short sellers. “All they really cared about was drugs, drugs, drugs," a photographer said of Berkeley's hippies. 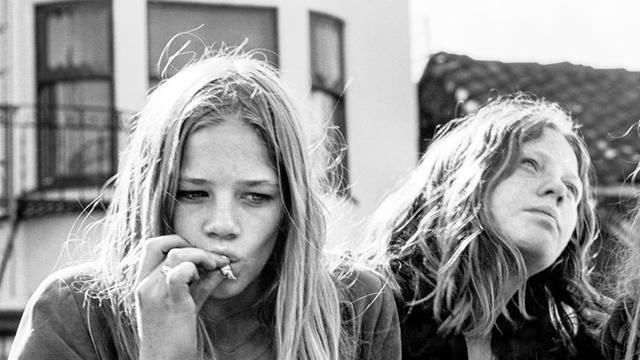 Here's a fascinating account of Berkeley's 1960s hippie scene, which wasn't all peace signs and Aquarian circle dances: "As they begged for money and frequented free clinics, these children of the suburbs siphoned resources away from the urban locals who needed them most." 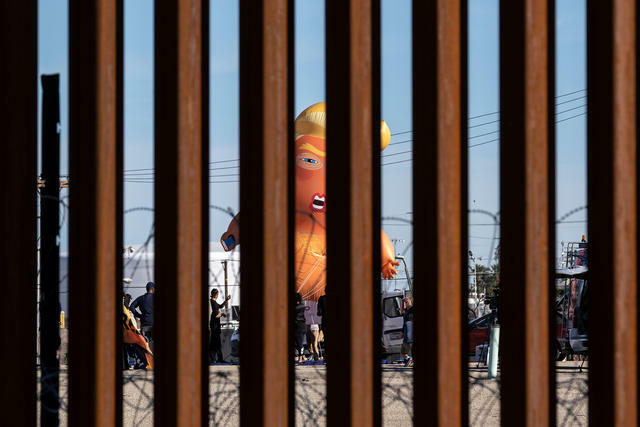 Protesters displayed a baby President Trump balloon during his visit to the border in Calexico last Friday. Two sources told CNN that when President Trump visited Calexico last Friday he told border agents to stop letting migrants in the country. If judges give you trouble, he said, tell them, "Sorry, judge, I can't do it. We don't have the room." After Trump left the room, the agents sought guidance from their leaders, who essentially said to disregard the president. A man fatally shot the mother of his 17-month-old son during a custody swap in front of the Hawthorne Police Department, the authorities said. He then fled the scene as officers opened fire. Jacob Munn, 30, was arrested hours later on suspicion of murder. The child was unhurt. 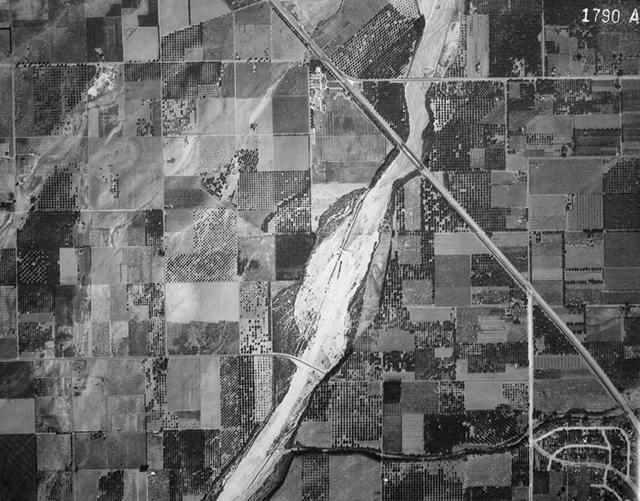 An overhead view of the Santa Ana River in Orange in 1930, top, and more recently. Orange County was once decidedly rural. Then a postwar population boom triggered an almost wholesale conversion from farmland to suburbia. KCET has a series of images of the rural landscape that existed before the arrival of tract houses, superhighways, and Disneyland. 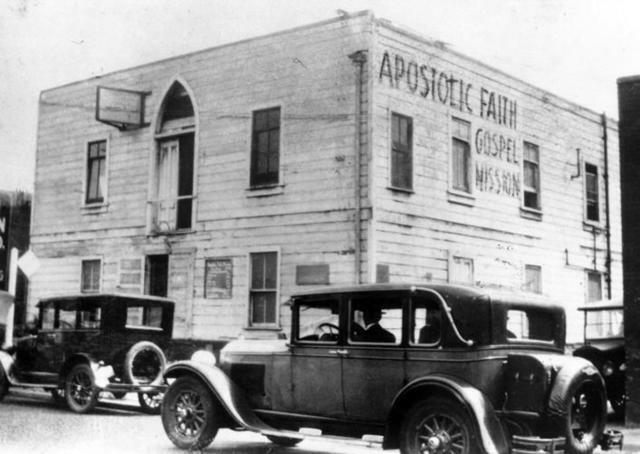 The Apostolic Faith Mission building at 312 Azusa St. was ground zero for the Pentecostal movement. 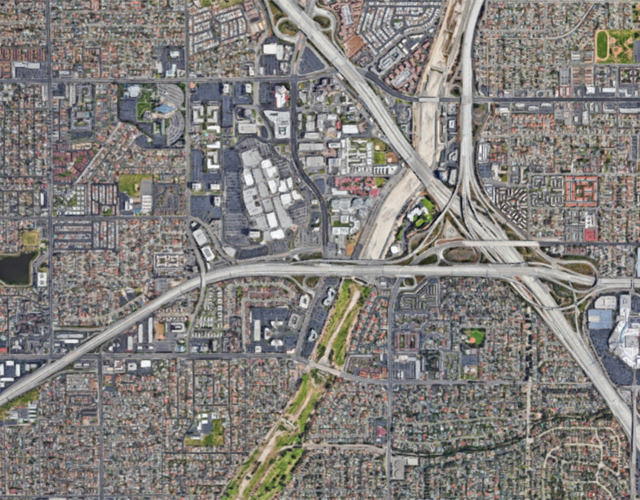 "L.A.'s most successful export is not Hollywood but Pentecostalism," the Economist once wrote. It was on this day in 1906 that an itinerant black preacher, William Seymour, kicked off what became known as the Azusa Street Revival in Los Angeles. Historians now regard the religious revival as the primary catalyst for the spread of Pentecostalism in the 20th century. Seymour was a student of Pentecostal preacher Charles Parham, who believed that baptism with the Holy Spirit was a third work of grace, along with conversion and sanctification, and that speaking in tongues was evidence of its truth. Thousands of people of all races were drawn to Seymour's services, which were held virtually around the clock in a rundown building on Azusa Street. 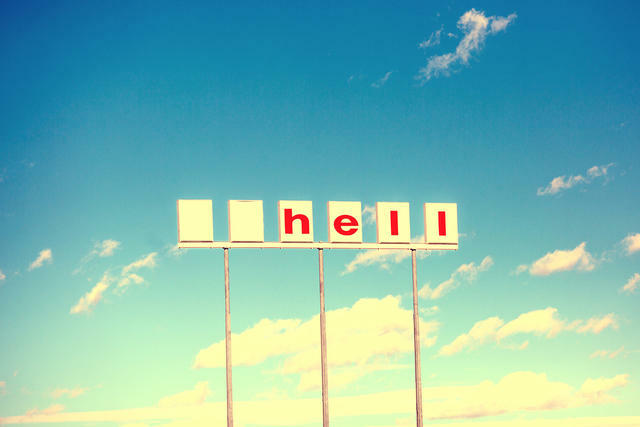 The L.A. Times reported disparagingly about the zeal of the new sect, its "disgraceful intermingling of the races," and nights "made hideous in the neighborhood by the howlings of the worshippers." The revival lasted until roughly 1909, inspiring thousands of worshippers to split off with intentions to evangelize across the U.S. and around the world. Today, Pentecostal believers number roughly 280 million. I rely on personal recommendations to grow the Sun's audience. If you've been enjoying the newsletter, please consider sharing it with a friend. Here's the sign-up page.